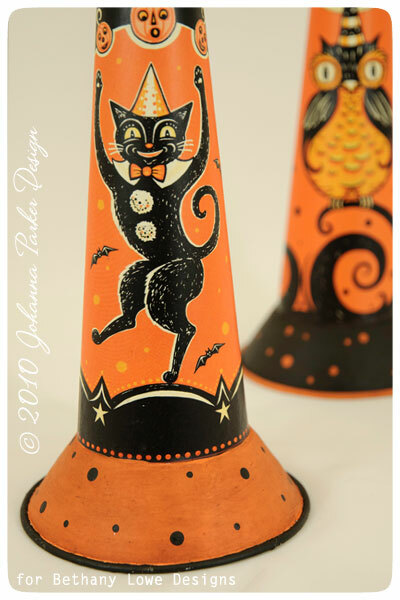 Finally, my first sample pair of decorative Halloween tin horns arrived! 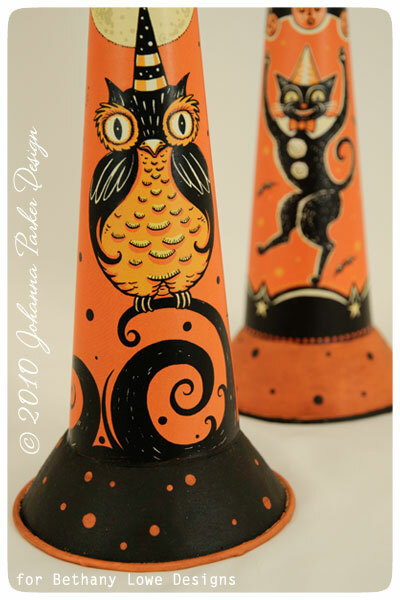 These collectible goodies are part of my 2011 fall collection of reproductions from Bethany Lowe Designs. 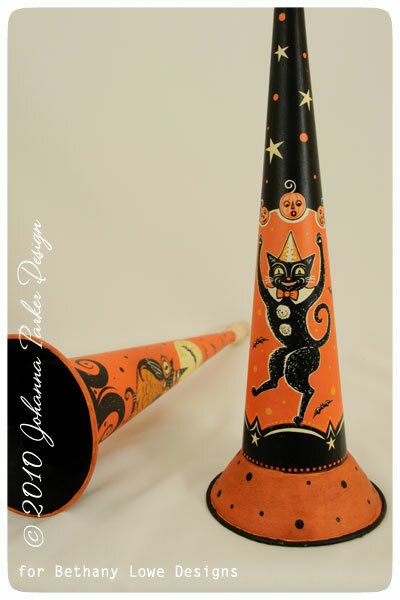 From the day I first spied a vintage toy horn cloaked in whimsical imagery, I have been intrigued by these novelties. What a pleasure it was to create my own vintage style versions, complete with a black cat and of course an owl companion to match. Proudly standing a tall 13" in height, this spooky-fun coupling will certainly add a festive ring to your home this Halloween season. I believe these party pleasers will be available in early summer, so make sure and ask your favorite vendors to order them now before they are sold out! 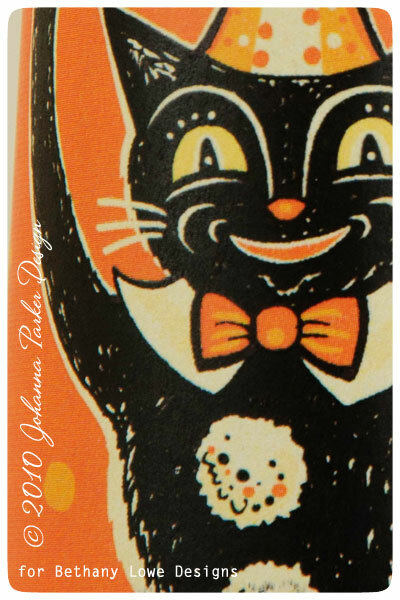 Enjoy this sneak peek... TOOT TOOT! 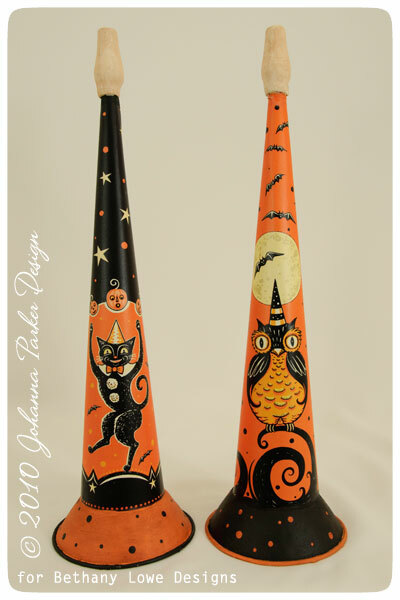 * A perched owl and a frolicking cat bring these decorative horns to life! 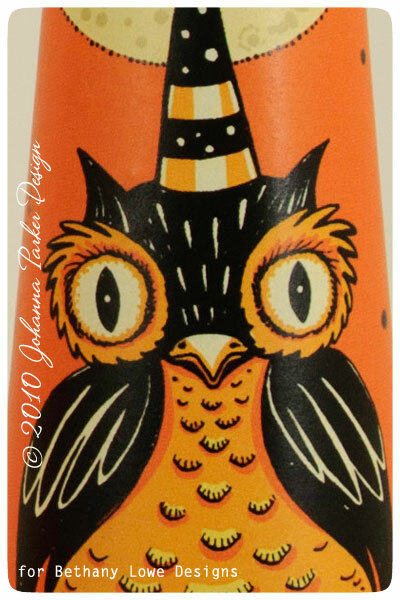 * Up close and personal with this ornery owl! Designs & Photography, © Johanna Parker Design. Images may not be used without permission.